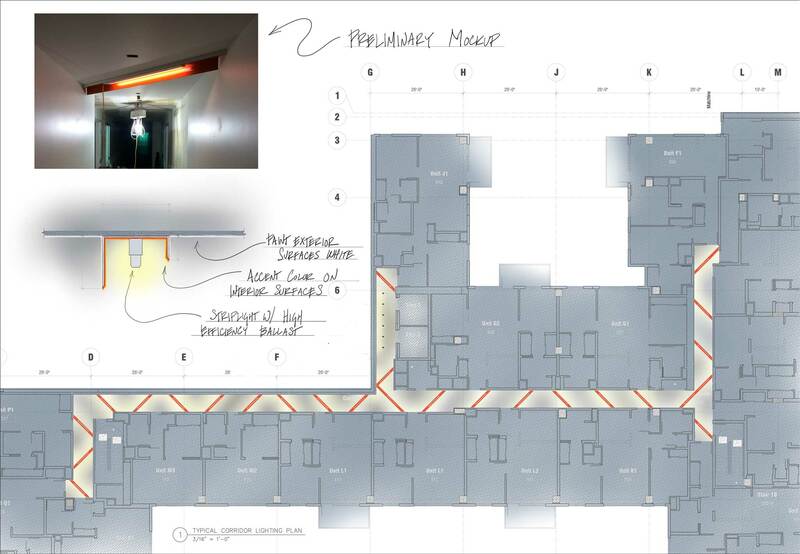 For the corridors, we wanted a solution that supported the design and didn’t feel like an off-the-shelf product, but had to find something cost-effective and energy-efficient. After charetteing through a number of options we combined a simple striplight with premium efficiency ballast housed in an architectural metal shell. Since the inside faces are treated with an accent color while the outside faces are painted white to match the corridor, the effect is of bands of color coming from one direction in the hall, and concealed cove lighting coming from the other.